The Springs Hervey Bay. Close to everything that counts. Lakeside Living at it's Best!  Experience the best of Queensland’s coastal living in a stunning lakeside setting at The Springs Hervey Bay. Nestled on a hillside only minutes from the Hervey Bay’s pristine coastline, this exceptional residential estate with a natural freshwater lake and panoramic country views, is the place that you will want to call home. This is no cookie-cutter estate; the large 800-1000m2 terraced blocks give you plenty of options to create the home of your dreams, whether by the lake or taking in the sweeping views of the hinterland from your deck. The Fraser Coast is internationally renowned for its stunning natural setting – from kilometres of white sandy beaches, abundant wildlife, the World Heritage listed Great Sandy Strait and Fraser Island, and acres of forest and hinterland to explore, you will be spoilt for choice. Matched with a fantastic climate and a friendly and welcoming community, The Springs Hervey Bay offers the best of coastal living at an affordable price. We appreciate your interest. If you'd like to find out more contact ustoday.